As many as 1,288,900 overnight stays were registered in Azerbaijani hotels from this January to June, which is 19.3 percent more than in the same period last year, the State Statistics Committee informed on July 24. Most visitors resided in Baku hotels – 62 percent, while 9.7 percent chose hotels of Gabala, 5.1 percent – Gusar. The others resided in hotels of Naftalan, Guba, Nakhchivan Autonomous Republic, Khachmaz, Agstafa and other regions and cities of Azerbaijan. The number of overnight stays of foreigners and persons without citizenship amounted to 935,200, accounting for 72.6 percent of the total number of overnight stays. As for the countries where the hotel clients came from, 14.3 percent of overnight stays accounted for UAE nationals, 14.1 percent – Russia, 6.6 percent – Iran, 4.5 percent Turkey, and 4.3 percent – Saudi Arabia. The others came from UK, India, USA, Israel, Qatar, Kuwait Iraq, Pakistan, Kazakhstan, Germany, Ukraine, and other countries. Thus, Azerbaijani hotels received an income of 167 million manats ($97.95 million) in the six months. As many as 66.3 percent of the amount was received from providing rooms, 23.8 percent – from food sales including beverages, 3.8 percent – from treatment and rehabilitation services, while 6.1 percent were received from rendering other services. Today tourism is developing with high speed in Azerbaijan, with a contribution of 4.5 percent to the national GDP. The country witnesses more than 2 million annual foreign tourist arrivals and thousands of domestic tourism visits. 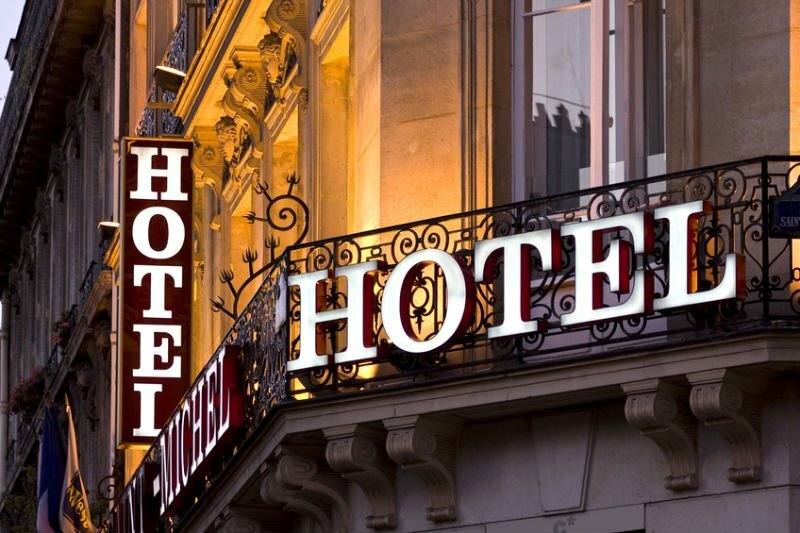 Hotels and other accommodation facilities are a vital and fundamental part of tourism supply, since they contribute to popularizing any tourist destination, as tourists need a place where they can rest and revive during their travel. Currently, there are hundreds accommodation facilities operating in Azerbaijan. They are of any price range, starting from just $6-7 per night in hostels and $25 in hotels.